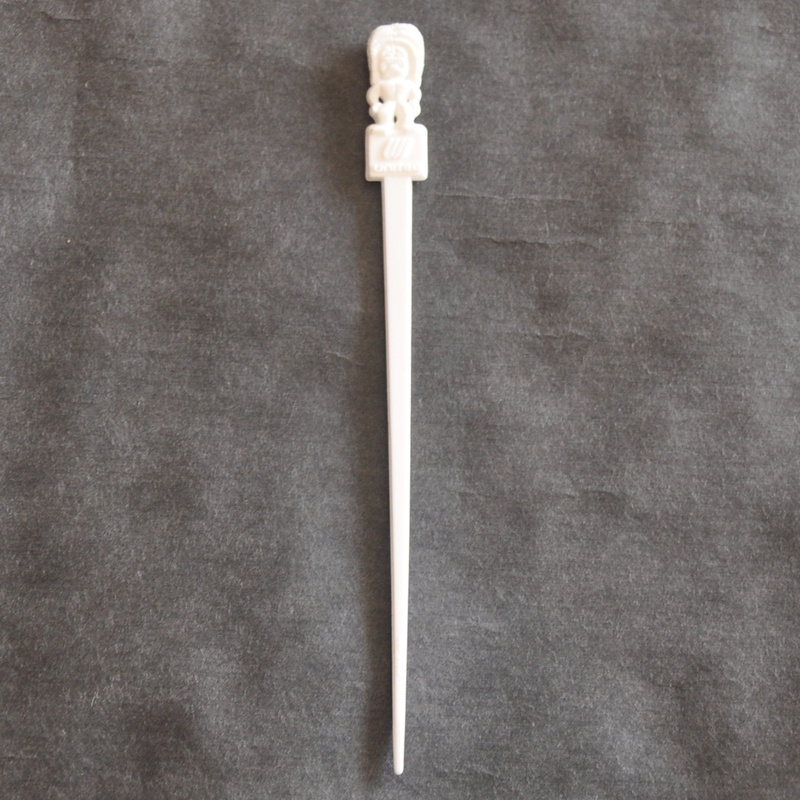 Description United Airlines Hawaii Service White Swizzle Stick with a Tiki on top. 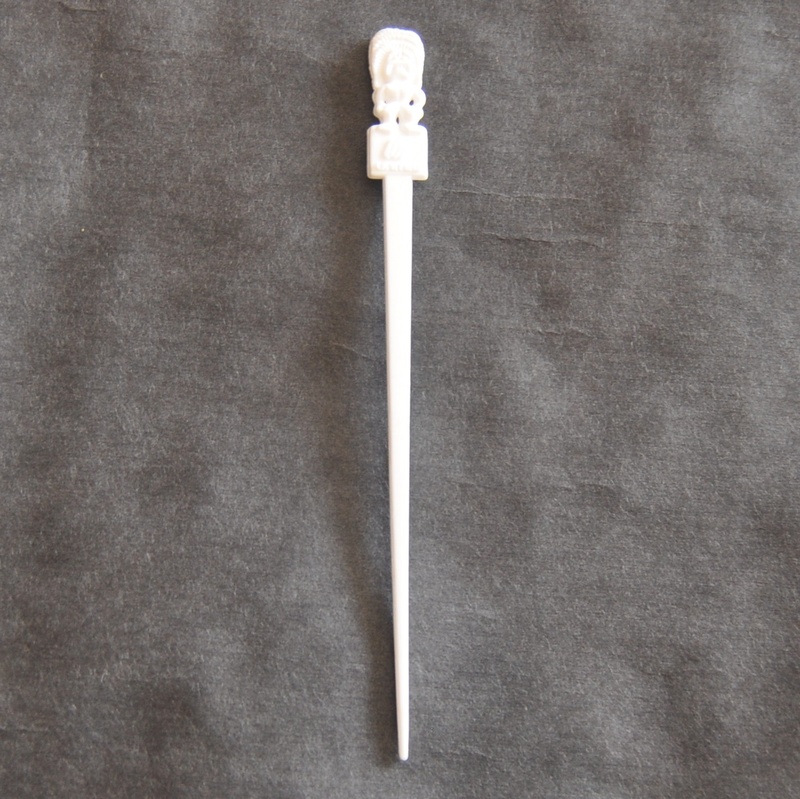 Made from white plastic with the United Air Lines tulip logo on both sides. Used on Hawaii flights pre merger with Continental.